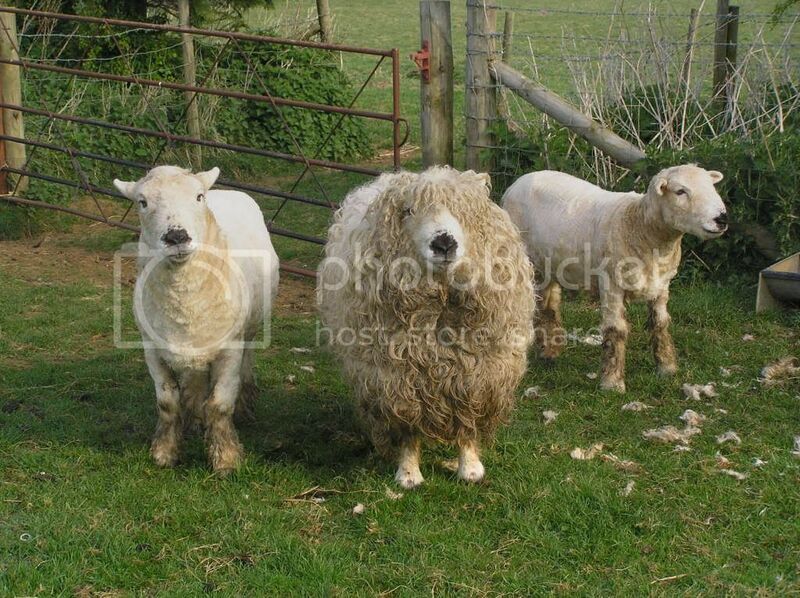 i am looking for some help to find some elecric clippers that are suitable for the dartmoor fleece. After spending the morning dagging with my 5th set of hand held ones i cant stand any more blisters, i look after them but they seem to only last a couple of months. Has any one bought electric ones that they can recomend. Also what sort of blade would you use on legs. My shearer never does the legs as he says it ruins the blades. Is this usual or is it just him. i would be very greatfull for any advice you have to offer. Funnily enough i am looking for similar, so maybe a double plea will find a response. I have been looking at the clip on battery jobs as you can use them anywhere, but they are bloomin' expensive! It is getting increasingly difficult to get good shearers, i always tell mine to leave the legs anyway as they look awful shorn bare, but one shearer insisted on doing them then wished he hadn't. My guess is any sheep clipper will do the job, but it's down to the type of comb how well! Bear in mind with electric shears there will be costs for running and replacing cutters and combs, so apart from saving hands, i don't see a lot of potential saving money wise! I originally bought a Heiniger 12volt clipper (with motor in the body. It was ok but cable was always in the way. I now use a Horner 12 volt conventional shearing machine which is brilliant. I use a deep winter comb which leaves a good covering of wool on the animal. Costs of sharpening cutters and combs are reasonable - 50p per cutter and 75p per comb at one of our local animal hardware stores - done while I wait. However I now regret getting rid of the Heiniger because it would have better to shear my Alpacas. The motor in the handpiece type is probably more convenient for trimming sheep if you are not shearing in the traditional way and yes they are expensive - you can get cheaper ones but I would go for well know brands such as Lister or Heiniger. You can get a new unbranded machine similar to the Heiniger on Ebay for about £85 but I don't know what the quality is like. i have a Horner 3.2 12v system and it's great. i prefer to run it off a 36A 12v DC supply normally used for powering ham radio gear. good old ebay - think it was 22 quid and far cheaper than a car battery. i bought the gear 2nd hand off Horners. was about 180 for the machine and another 100 for the hand piece. remember a new handpiece alone is 220+VAT! at 300 quid all in it's still a significant outlay, but it's like rams - the more sheep you have the more value you get out of it. i also clip regularly for a mate before he gets his animals away and through his butchers shop. then there are all the people with 2 acres and 2 sheep who want stuff clipped. i reckon it's paid for itself in 2 seasons with just that. then of course i can clip mine whenever i want. BTW 99% of the combs in the UK will be a short bevel (3.5 mm) longer bevels are for stuff like merinos. so the quality of the job you get is down to the shearer and your sheep, not the comb. GFDs are terrible shearing too. i can get 3 mules done in the time it takes to do a single dartmoor. they're big, they're heavy fleeced, loose skinned, have their ears burried in wool and have woolly legs where the wool joins the belly wool. it all adds up to being the hardest shearing sheep i've done. they're also darned slippery when you get them down to that pearly white under fleece. The winter/snow combs I use are Lister No 3 (bought from Horner Shearing - about £20), 13 teeth, and Lister No 5, again with 13 teeth but much deeper, about 8mm. They don't make the No 5 now. A local farmer gave me a box of containing 8, still in their wax paper wrappings. His father bought them about 40 years ago and only ever used one. These combs work well without pulling. 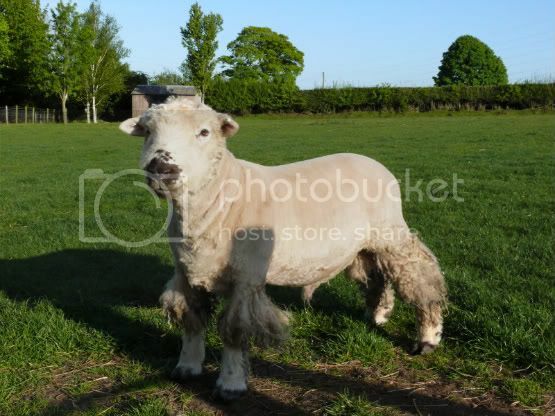 They worked brilliantly on a shortwool breed like my Balwen Welsh Mountain but on a Dartmoor any mistakes show up more. I bought some Derbyshire Gritstones last year and I'll use the No 5 comb on them. They have a tight fleece so should work well. A word of warning to Val F. Whichever type of shearing machine you buy, ask for some instruction on setting up the cutter and comb. An incorrect set on the blades can make it easy to nick the skin. If you get someone to show you first you'll remember and get it right each time. Thankyou for that info Tirion. When i get a clipper i am going to ask my shearer if he will spend some time with me to show me how toset it up, i am sure he wont mind as he will be glad not to have to do them for me anymore. He moans all the time as he says it takes so long. I did them by hand one year and it was back breaking. I have to laugh when i see the specsaver advert as it reminds me of that year altho i think i did a pretty good job of it. The shearer was really busy and the weather was getting hotter and i wanted to make them comfortable so i set to with the daggers. Thankyou for your help i will keep you posted how i get on. I've finally plucked up the courage to buy some clippers, i've got the Heiniger 12v. I used them last week to crutch out my (filthy!) ewe hogs, and they are brilliant! I've found if i halter each animal and take it out of the pen, the cord doesn't get in the way. Perfect! my clippers arived yesterday, i am about to try them i am a bit nervous i will let you know how i get on. My partner says Fearings the tag people sell a good electric clippers, you can buy up several types of blade to go with it, he says it is a good one. Tried the new clippers and was impressed how powerfull they were. 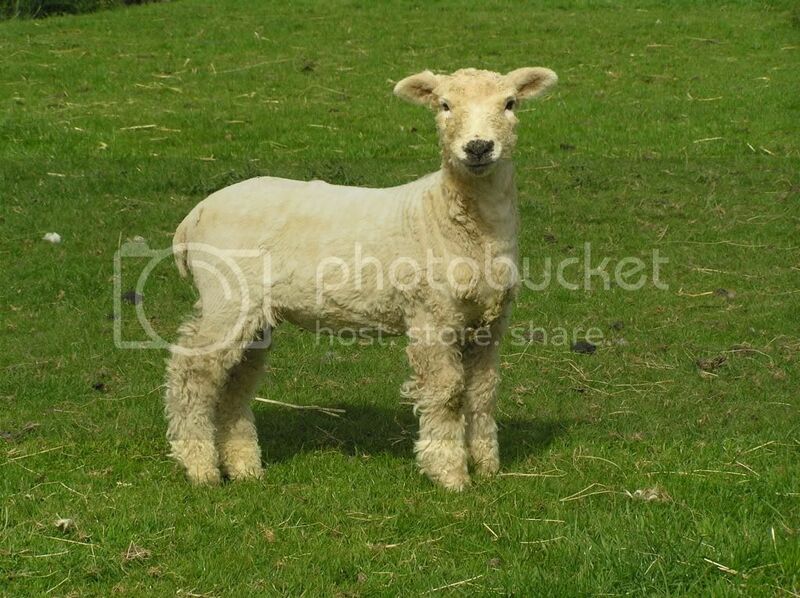 I cant say the ewe would be impressed if she could see her dodgy hair cut, i am sure with practice i will get better. They are heavy to use and you wouldnt want to do too many in a day. 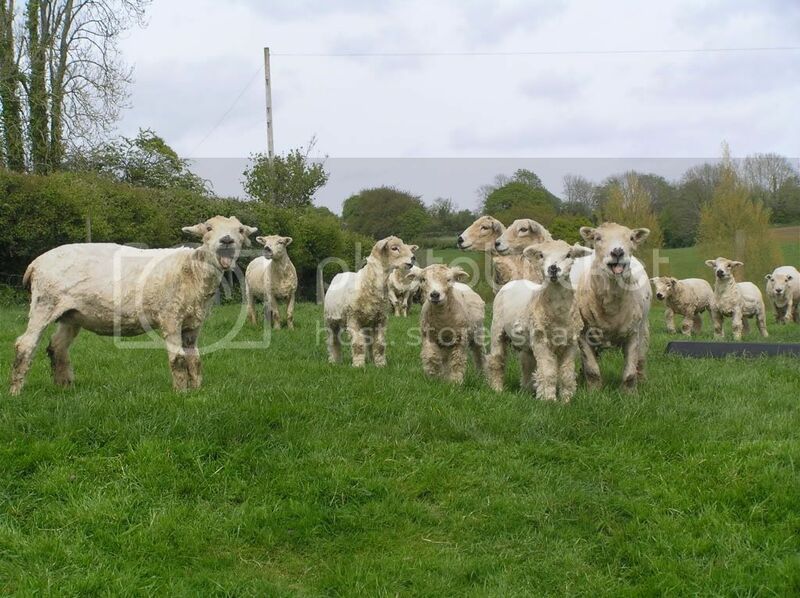 I bought them from fearings, they are the Oster clipmaster sheep shearer. I find the motor in handpiece clippers are heavy, they vibrate strongly too. It is nice to be able to look at a row of clipped backsides (ignoring the bad hairdos!) instead of claggy bums which sound like an army of castanets coming up the field! I don't think it's a bad job for an amateur with a dodgy back! It helps when the sheep stand as quietly as these two did! I have since sheared a ewe who was looking miserable in the heat, she has really perked up since! Maybe it's time all you intrepid people wielding the clippers should get practicing and work out what rates to charge. Apparently the Australian government is regulating for Aussie shearers to apply in person in Canberra for a visa/permit, and stump up £200. So of the 600 who usually apply to come over to the UK, only 1 has so far got the permit. Maybe this is just a shaggy dog/woolly sheep story but even if partly true could make life very difficult for the UK flock this Summer. As recommended elsewhere on the forum, I bought a pair of Jakoti hand shears and found them a huge improvement on the traditional variety. I'm still VERY slow and the sheep don't look to good when I've finished with them, but the shears are certainly easy to use and comfortable to handle. Machine sheared a week ago ready for the shows. My shearling ewe - still needs her legs washing a bit. An old ewe with dirty knees but clean back legs. I've just noticed - I missed a bit behind her ear! Apologies for the poor quality of the photos - the sun was going down fast! Edited 2 time(s). Last edit at 27/04/2009 08:46PM by Lynne Jackson. And one more. Old ewe with her ewe lamb - born March. Here's one of the ewe I sheared the thursday after easter, her ewe lamb was born 12th march. I admit there's still work to do on those legs!! Well, my back could take no more so I got the shearers in to do the rest on 5th may. All ewes and lambs are now done, just a small 'show team' left in the wool. 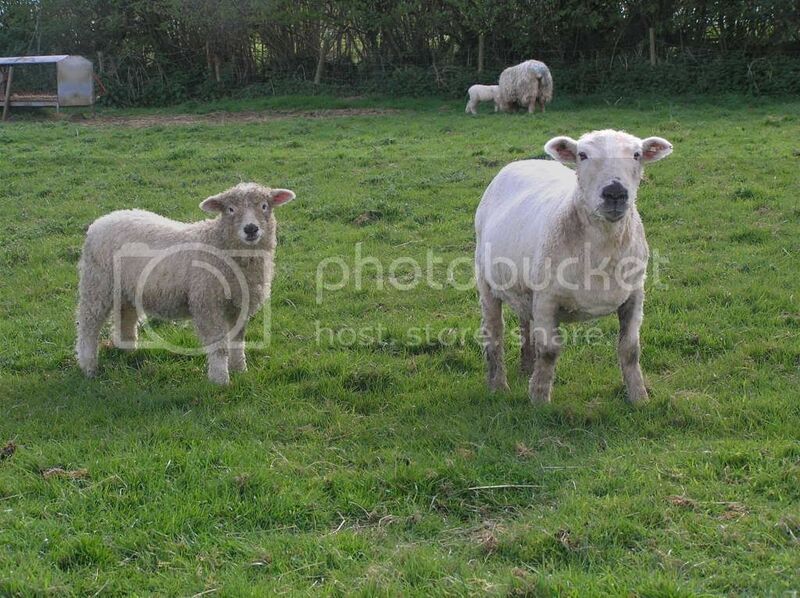 Here's some of the ewes and ram lambs (looking scraggy!).. and one of a ewe lamb who is growing in to quite a poser! They were certainly glad to get their fleeces off! Yes, the weather is certainly getting a little warmer now so I am sure they were all glad to get those heavy fleeces off! Some nice looking lambs there too, crazy sheep. Looks like one of them is shouting "Hip, hip, horray, our fleeces off today!" I only have two ewes to do now and the lambs so don't feel at all stressed with it this year. 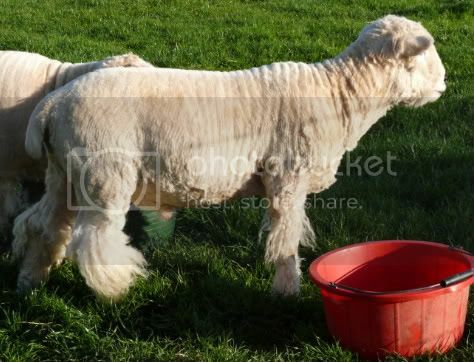 My two two shearling rams have been sheared off last week. I haven't sorted their leg wool out yet - I will do that this weekend. That's a job in itself, I fear. I left it all on and will tease out and trim as I see fit but not just at the moment..........................one step at a time!!!! I really wanted to see how they had filled out over the winter. It's funny how they suddenly grow up, isn't it!? Edited 2 time(s). Last edit at 11/05/2009 08:59PM by Lynne Jackson. They're nice butch looking fellas! Whose the father? Well, I was full of enthusiasm to get the show team done after the Bath & West. I managed to shear the old ram, old ewes, ram lamb and one of the shearling ewes. However, whilst clipping the belly on the second shearling ewe, she decided my eyebrows needed doing and kicked the clippers up in my face. I was rushed in to theatre for a 3 hour eye operation, and spent the next 2 days having eye treatment every hour. I am home now, but will not know the result until monday. Fingers crossed hoping they've saved my sight in that eye. So maybe goggles should be advised when shearing!!! I can't wait to see the health & safety lot raise their eyebrows at this one! I am not allowed to bend forwards, lift anything or do anything, daytime t.v is torture, so coming on here to read old posts is a real treat! Oh dear that's terrible. I do hope your eye is OK. Best wishes for a speedy recovery. How is the eye today? When are you allowed more freedom of movement? I didn't realise you had such dangerous sheep!